A spokesman for Israeli Prime Minister Benjamin Netanyahu said Thursday he will take a leave of absence "to clear my name" after a series of sexual misconduct allegations against him. David Keyes, Netanyahu's spokesman for international media who has been interviewed regularly on television, was notably accused in recent days of sexual assault by Julia Salazar, a candidate for the New York state senate in the United States. "I am fully confident that the truth will come out." Salazar has received criticism in the course of her campaign over inconsistencies in details about other parts of her life she has shared. But following Salazar's accusation, The Times of Israel news site reported on Thursday that 11 other women had also accused Keyes, 34, of inappropriate behaviour. "The man had absolutely no conception of the word 'no'," she said on Twitter. The accusations date back to before Keyes took up his job in Netanyahu's office in 2016, when he was in the United States. 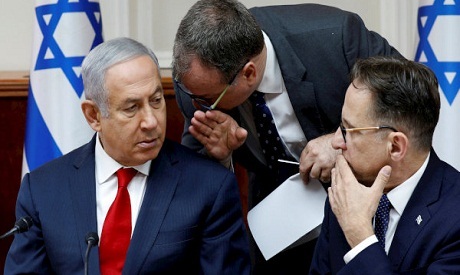 Before joining Netanyahu's office, US-born Keyes was executive director of New York-based Advancing Human Rights, an NGO which sought to assist dissidents in oppressive countries.